Canada's Highest Freestyle Zip Lines. 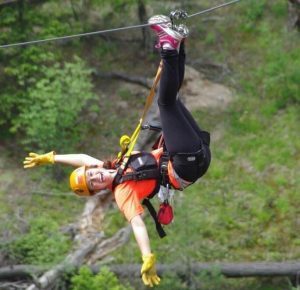 Six of the highest, longest , fastest, epic-est zip lines in Canada, criss-crossing the breathtaking Deep Creek Gorge. Breathtaking views, maximum exhilaration! Learn to DynaClimb and then take a Leap of Faith! Fun and games on our DynaClimb wall and then you get to climb an 80ft high pole, perched on the edge of a 300ft cliff, and then leap into thin air. ZipZone is the best value adventure park in the Okanagan! Take a look at all the stuff you can do even if you're not ziplining! Selfies, Climbing Wall, Ninja Course, Games Area and Puzzlearium!! 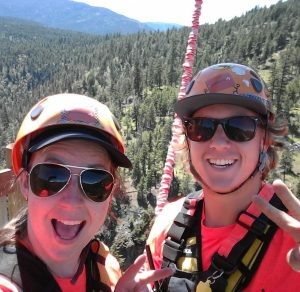 We’re the Happiest zipline in the Okanagan, and no-one gets to be disappointed! If your child is under 70lbs they qualify as Little Zippers and get to ride Tandem with one of our awesome fun guides! Bring your group to ZipZone! Corporate Groups, Stags and Stagettes, Dry Grads, marriage proposals, birthday parties, office parties, team building parties and just plain fun parties! Phone and we can set you up with a tour that is just perfect for you. We go the extra smile It’s more fun at ZipZone. Our 2.1 kilometers (6,750ft) of zip lines criss-cross the stunningly beautiful Deep Creek Gorge at heights of up to 381ft! GO FREESTYLE! 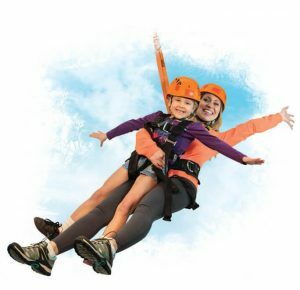 Our specialized safety system allows a true freestyle zipping experience, you can fly backwards, forwards, anyway you like, including the DO THE DANGLE™ experience, flying upside down above the canyon! ZELFIES! If you like Selfies, you’ll love Zelfies! Take your Camera/Smartphone zipping with you, and take great pictures of you being awesome! Plus we take free pics of your group! LITTLE ZIPPERSTM We’re the Happiest zipline in the Okanagan, and no-one gets to be disappointed! If your child is under 70lbs they qualify as Little ZippersTM and get to ride Tandem with one of our awesome fun guides! GOPRO! Don’t have a camera? No worries! 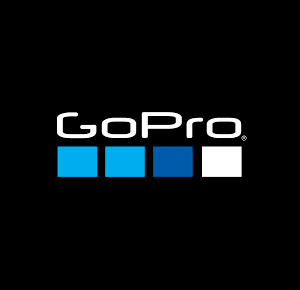 Just rent a Helmet-Mounted Go-Pro from us and take the memory card and your memories home with you! What an Amazing way to Celebrate a Birthday! First off what an amazing experience! Beautiful, stunning views and amazing staff!! The owner was wonderful as well! We were a group of 9 that decided to zipline and doing something fun and different to celebrate my husbands 30th birthday! All I have is amazing things to say and I am recommending it to all family and friends! Prices are so reasonable and totally worth it! We are outdoors people and it was just outstanding!! Thanks again to the owner and all the staff that made my husbands 30th birthday a success!! If I could add an extra rating dot, I would, one for each zip line. Phenomenal, epic, exhilarating – I can’t find enough adjectives to describe this tour, getting up close and personal with the most beautiful canyon scenery. Zip equipment top notch – impeccable safety. Tour guides funny & interactive. Adam & Jill rock – their professionalism as well as their sense of humour allayed any fears I had so that I fully enjoyed the 2 1/2 hour tour with my 14 yr old. Be sure to book ahead – we booked online, totally painless. Allow a little extra time to drive up to the site. The last 2 km are rough road – you don’t want to be in a rush. Well worth the $$$. We will be back!! This was an unbelievably great family adventure. We are a family of 4, our kids are 8 and 10, we all zip lined and loved it. The entire staff was fantastic, from booking, to checking in, to the actual zip lining, I cannot say enough good. We have zip lined in Belize before, but this was way better. We felt safe the whole time, no need to brake yourself, the guides take care of you. I highly recommend this to everyone! I’ve been ziplining plenty of times before but this was by far the most exhilarating. My boyfriend and I were celebrating our anniversary and we ended up being the only ones on our tour. Janelle and Steve were our guides and they made the whole experience so amusing with their jokes and cheerful attitudes. Every time you get off one of the ziplines you have to take a small walk/hike to the next zipline and along the way there are jokes and signs that are thoughtfully laid out so you have a little bit of fun when you’re not on the zipline. One out of the 6 lines allows you to go upside down, which was unlike any other zipline I’ve been on before, and it was amazing. If you have a Gopro, they have helmets with mounts for it which I thought was helpful. I would recommend this place to anyone visiting the area. I would recommend this for anyone of any age ! The guides are excellent and the zip lines and scenery can’t be matched ! This was my first time ziplining and it was an incredible experience. Zipzone promised adrenaline and delivered in spades: the first step off the platform was exhilerating! What came as a complete surprise, though, was the smoothness of the ride, the calm and quiet, and the pure magic of being suspended in the air. The scenery is magnificent and being able to enjoy a bird’s eye view of Peachland’s Deep Canyon was spectacular. I expected ziplining to be akin to an extreme sport but the truth is it was like soaring. It is not just for the thrill seeker, it really is for the whole family. In my group there was a spritely 89-year-old man, and the day before I learned that a budding 4-year-old adventurer tandem-zipped with a guide. The adventure park in fact offers more than just the six zip lines: there is a puzzle area with games and along the nature walks between one line and the next you can find brain teasers and funny jokes. Zipzone’s staff are knowledgeable and friendly. Before we set off, they patiently went through how everything worked, helped with your gear and gave a demonstration. I was a little nervous at first, but their expertise, thoroughness and humour put me at ease. Thank you Tristan and Jeanine for an unforgettable day! I was very impressed with the thoroughly methodical way in which each and every “zip” was handled, as is of course necessary. I am quite well versed in matters mechanical, and observed carefully the steps taken to both prepare for the zip, and to receive the “zipp-er”. The steps totally reassured me as to the care of the leaders, and the safety of the entire process.